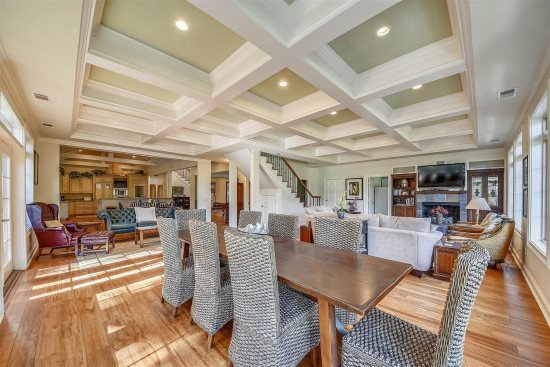 It just doesn't get any better than vacationing in this exquisite 5 star, 2nd row, 6-bedroom home located in North Forest beach. The ground level features a 6 car garage and a summer kitchen/wet bar, complete with ice maker, TV, stereo, and outdoor speakers, which services the outdoor pool area. In addition to the large pool with a waterfall (pool heating extra*), is a shallow play/lounge pool, an 8 person Jacuzzi spa, a large gas grill, and comfortable poolside lounge chairs. The 2nd level main entry opens into an inviting living area with sleeper sofa, large-screen entertainment center with surround sound, and wet bar. This living area also leads to two second level bedroom wings. The right wing has a laundry room and two bedrooms with TV's, one with two twin beds and the other with a king bed, which share a bath with a stand up shower. Each bedroom also has slider door access to a shared balcony with a pool view. The left wing has one bedroom with a queen-size bed and private bath, and a second bedroom with two twin beds, slider door access to a private balcony, and a private bath with a shower/tub combination. The 3rd level of the home has an open great room with, a large-screen entertainment center, decorative fireplace, and a large dining/game table with seating for 10 in a sunny window area with two doors opening to the balcony. Also included in this great room are a formal dining area and a gourmet kitchen with state-of-the-art appliances, granite counter tops, and barstools. The two master bedroom suites, each in their own wing, are found on this level, as well. One features a king-size bed, a private outdoor balcony, and a private bath with Jacuzzi tub. The second also has a king-size bed, private balcony, and a large bathroom with Jacuzzi tub. Part of this bathroom may be accessed from the hallway and provides a convenient half bath to the great room. 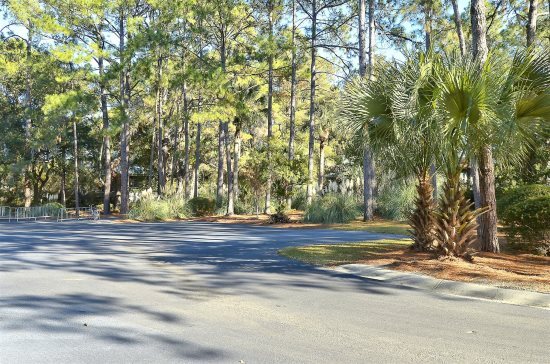 This upscale property has been professionally furnished and decorated and is but a block away from North Forest Beach or the shops of Coligny Plaza. They were very polite and very helpful. We really enjoyed the property and would rent it again. Jeff West and the entire team were wonderful and we had an amazing week. 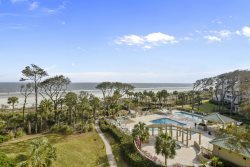 The property on 4 Dune Lane (Hilton Head Island)was simply the BEST! I rented the house in Sept 2016 to celebrate my birthday week with my girlfriends (8 of us), and there was more than enough space. We loved the poolside grill with outside kitchen and bar. Honestly, the pictures do not do this beautiful home justice. We had an issue with the pool and linens, but they took care of the issues very quickly. Great location: steps from the beach, steps to shops/restaurants. Easy to get around when we ventured out for outlet shopping, massages, ziplining and parasailing. We will book this home again! Sales team was excellent to work with! We were staying in another house the weekend after Hurricane Matthew and our state tennis tournament was called off from all the destruction. Sunset Rentals honored our contract and found another house for us to rent 3 weeks later for our tournament. Thanks for working with us!! Our house was very large and there was plenty of space for 12 of us to have our own space. Very nice house and pool area was excellent! No problems. Booked our stay in line and never had a need to have much contact with your team. We did receive a courtesy call right before our trip which was helpful and considerate. 4 Dune Lane is a fabulous home that we treated as our own. Spacious and well appointed. The walk to the beach was so easy and quick, with a paved walkway until you reach the sand. The pool and outdoor bar/kitchenette was super handy to keep drinks near by. The pool was wonderful! The pool has a shallow end for sitting in the pool and sunning. We enjoyed how we were so close (yet far enough) to Coligny Plaza shops and restaurants. The beds and linens were wonderful. Thank you - it will be hard to stay in any other house. We will be back!! Working with the Sunset Rentals Team was great, no problems. We had a great time at 4 Dune Lane. The house was great for our size family.